In this issue: worlds divide, aliens defect–and a sketch your favorite meta-heroes contest! From New York Times best seller, Mercedes Lackey and company, the second entry in a new pulse-pounding saga of modern-day humans with superpowers. After turning back an invasion of hyper-science war machines, the heroes go on the hunt for the invaders’ conspiracy-cloaked masters. For alien Commander Arid Ricimer there was no going home. His species was winning the war with Earth, but the civilization he had fought for was gone, destroyed from within by ideologues and bureaucrats. So he does the only thing that makes sense to a person of integrity—he attempts to defect to Earth with his officers and an entire spaceship, a vessel that mounts a superweapon of almost unimaginable power. 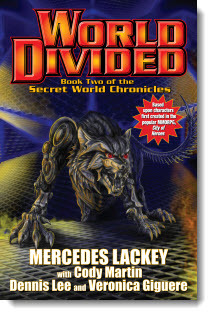 To celebrate February’s publication of World Divided, follow-up to Invasion the second entry in Baen's outstanding new series, The Secret World Chronicle, helmed by Mercedes Lackey, you’ve invited to submit a sketch of your favorite meta-hero from the series. A dissident alien commander and his human allies face down the forces of a tyrannical star empire as the alien captain attempts to defect to Earth with a superweapon of almost unimaginable power. 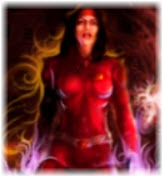 Tales set in a world touched by the greatness of one epic heroine: Honor Harrington. 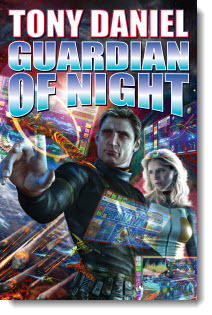 Includes stories by Jane Lindskold, Timothy Zahn, and David Weber himself. The fragile Human-Jao alliance must recruit a powerful third alien society that has been in hiding for millennia to stave off invasion from a fourth exterminator race. The stirring sequel to Course of Empire. A family legacy of magic and world-walking returns to haunt a young woman. A gripping and romantic contemporary fantasy thriller from the co-creator of the Liaden Universe®. Two epic novels gathered together featuring humanity pushed to the brink of existence—and fighting back with a dash of grit and a sense of humor. 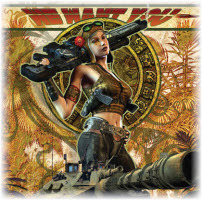 Don't forget to check out the newest Ebook releases, and Baen.com free fiction: Tony Daniel’s story of an A.I. on trial for murder and treason, “CHECKSUM Checkmate,”. Plus, J.R. Dunn’s hard-hitting, surprising, and in-depth look at the relationship of drugs and war, past, present, and future here.